Kanpur, a city steeped in history, archaeology and mythic wonders that are believed to date back to the era of the Mahabharata. The second largest city in Uttar Pradesh after capital Lucknow, Kanpur miraculously holds onto its old world charm to this date. It first rose to prominence as an industrial hub during the British reign. Back then, Kanpur was famous for its flourishing textile industry. In the decades since independence, the city has established itself as a thriving centre for higher education. One of the city’s biggest flag-bearers, when it comes to driving innovation and entrepreneurship, is IIT Kanpur. Today, the 59-year-old institution boasts an entrepreneurship cell as well as the SIDBI Innovation and Incubation Centre (SIIC), which fosters innovation, research and entrepreneurial activities in technology-related areas. Currently, Uttar Pradesh is also witnessing the emergence of a startup culture, spearheaded by entrepreneurs, investors and other ecosystem enablers. To bolster these fledgeling startup ecosystem that is emerging in Kanpur, Inc42 in partnership with Amazon India hosted the eighth instalment of its localised startup meetup series – BIGShift on December 16. BIGShift Kanpur brought prominent startup founders, influencers, investors and ecosystem enablers together for an engaging discussion about the challenges of team building in tier II/III cities and the right time to fundraise. Besides, seven startups were given a chance to pitch about their business in front of an eminent jury. So, Why BIGShift In Kanpur? Approved by the state cabinet last month, the Uttar Pradesh State Information Technology and Startup Policy 2017-22 is based on the INFUSE model (as in INcubators – FUnd of Funds – Startup Entrepreneurs). 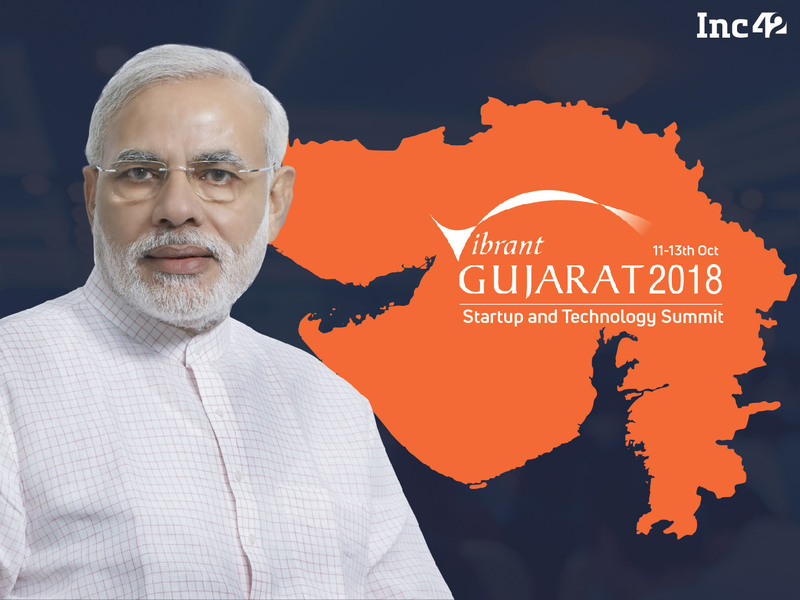 The policy is geared towards promoting the ‘startup culture’ and entrepreneurship in the state. Its primary aim is to facilitate both small and large IT/ ITeS industry spanning startups and micro, small and medium enterprises by providing incentives and a conducive policy framework. As stated by Energy Minister Shrikant Sharma at the time, incentives in accordance with the provisions of Uttar Pradesh Industrial Development and Employment Promotion Policy would be provided for setting up new MSMEs and startups. The new policy will also help provide necessary lands to startups at cheaper rates. The policy has provisions for setting up over 20 acres of industrial parks and estates. Recognised startups will be provided sustenance allowance of $236.09 (INR 15,000) per month for a period of one year at the idea stage. At the pilot stage, startups will also be offered marketing or commercialisation assistance of up to $20K (INR 10 Lakhs) to launch its prototype product and services in the market at the Pilot stage. The cost of filing and prosecution of the patent application will be reimbursed to the incubated startup companies subject to a limit of $3147.87 (INR 2 lakh), per Indian patent awarded and $15739.36 (INR 10 lakh), as per Foreign awarded patents. As per the policy, the Uttar Pradesh government will play an active role in setting up incubation programmes, Centre of Excellence and other essential pillars of the startup ecosystem. Prior to that, the state government had also announced plans to encourage government or semi-government-run institutions like IITs, IIMs, etc. to set up incubators or accelerators, in order to build the startup ecosystem. Last year, in August, Uttar Pradesh Chief Minister Yogi Adityanath launched a $156.2 Mn (INR 1,000 Cr) startup fund for helping startups in the state. As part of the move, he flagged off a ‘Startup Bus Yatra’ in Lucknow and made a strong pitch for startups. At the time, CM Yogi Adityanath announced that the government would also be launching a dedicated mobile app for startups in the state. The state is also looking to promote entrepreneurship at educational institutes. For the same, the state’s CM said that the state would be offering about $39K (INR 25 Lakhs) to universities and leading educational institutions, in order to encourage students to take up self-employment through startup projects. A month later, in September 2017, the Government of Uttar Pradesh revealed that it was gearing up to establish the biggest incubator centre in the country. The proposed incubator was to be erected on a 40-acre space near the Lucknow airport. As an added push for startups, the state government announced that it would increase the allocation of funds to about $615 Mn (INR 4,000 Cr). As per AngelList, Uttar Pradesh’s capital city Lucknow is home to around 65 startups. Among them are SaaS startup ClickCubes Technologies, healthtech firm Brainpan Innovations, cab booking software Duplex Technologies and others. Coming to Kanpur specifically, AngelList claims that there are around 33 startups in the city, including product design company Objectify Technologies, social media management platform Sociota, EezyNaukari, and Kritsnam Technologies, to name a few. Several VC firms and angel networks have sprung up in Uttar Pradesh in the recent times. Among the premier investment firms in the state is Lucknow Angel Network (LAN). The Entrepreneurship Cell of IIT Kanpur has also played a major part in boosting the state’s startup culture through funding support. When it comes to key people and organisations driving the startup ecosystem in Uttar Pradesh, there are an ample number of mentors or advisors and incubators that are nurturing promising new startups in the state. Well known mentors and ecosystem enablers in the state include Dr. Aarti Gupta, Chief Investment Officer at DBR Ventures; Sudeep Goenka, Director of Goldiee Group; Venture Catalysts Uttar Pradesh Co-Founder Vinayak Nath; Dr. Akhilesh Mishra, IAS-Special Secretary, IT and Electronics, UP and Arunn Guptaa, founder of StartUp Cafe, among others. Uttar Pradesh is also home to a number of startup accelerators and incubators, including Venture Catalysts Uttar Pradesh, Amity University Incubator, TBI-Krishnapath Incubation Society, SIDBI Innovation And Incubation Centre (SIIC) of IIT Kanpur and IIT BHU’s Malaviya Centre for Innovation Incubation and Entrepreneurship. Additionally, as per reports that surfaced in September 2017, the state’s government is working to build the biggest incubator centre in the country near Lucknow airport. A number of other organisations such as TiE Lucknow have also helped support emerging startups in Uttar Pradesh in recent years. Several startup-focussed events have also been conducted in the state over the last few months. For instance, in August 2017, Uttar Pradesh Startup Yatra and Youth Integrated Development Society joined hands to host the Uttar Pradesh 1st Startup Yatra. This year, in February, Uttar Pradesh Entrepreneurship Summit and Indian Youth Forum will be coming together to host the Uttar Pradesh Entrepreneurship Summit ‘StartUp-UP’. StartUp Cafe is a coworking space located in the state’s Gorakhpur region. Now that we have learnt quite a bit about the Uttar Pradesh startup ecosystem, let’s take a look at all the action from the BIGShift Kanpur edition! Taking the stage for the first session at BIGShift Kanpur was Dr. Aarti Gupta. Currently serving as the Chief Investment Officer at DBR Ventures, Gupta has several finance-related degrees under her belt from some of the world’s leading universities. Apart from bachelor’s and master’s degrees in Economics from Northeastern University, she holds a postgraduate diploma in Finance from Harvard University as well as a PhD in Economics from IIT Kanpur. In her current position, Aarti is tasked with managing the family wealth of DBR Ventures. To that end, she is responsible for identifying various asset classes which could help increase the family wealth. With the way the ecosystem is developing, Gupta feels that startups should be a part of portfolios of any size as an asset class diversification. Some of the startups that DBR Ventures has backed include InnerChef, waste management company Saahas, TagBox, EasyGov and Kickstart, among others. According to her, fundraising by startups is as much an art as a science. During her session, Aarti shared her insights into the three Ws of fundraising: when to fundraise, from whom to fundraise and at what valuation to raise funding. “The million dollar question is: to raise or not to raise funding. In my opinion, bootstrap for as long as you can. The very fact that investors are investing in the startup space is to get a high return. So, because of that reason, venture capital is expensive. To get that reward, investors try to get a sizeable chunk of equity in the startup. Or they invest in a startup that is already on a high growth path,” Gupta explained. The second speaker at BIGShift Kanpur was Sudeep Goenka, Director at Goldiee Group. An industrial engineering graduate from the Georgia Institute of Technology, Sudeep’s tryst with entrepreneurship has been several decades long. As a second generation entrepreneur, he has successfully led Goldiee Group to unprecedented heights. He further claimed that the second most important thing as an entrepreneur is knowing what one wants. Sudeep advised budding startup founders to really assess their strengths and weaknesses and then decide whether to outsource. “You have to be really innovative. You have to challenge the general convention. My number one advice to aspiring entrepreneurs is to be ethical and follow the law. It is wrong to think that you would make this much process and only then you would legalise the process. Do it from day one,” Goenka explained. Moving to the final session of the BIGShift Kanpur, four startups were given the opportunity to showcase their ideas and business plans. These included EezyNaukari, Salonsnearby, Carrymates and Kritsnam Technologies. The two speakers at BIGShift Kanpur – Dr. Aarti Gupta, Chief Investment Officer at DBR Ventures and Sudeep Goenka, Director of Goldie Group – serves as the jury for the startup showcase. Now let’s take a look at these startups and the problems they are trying to solve! Founded in March 2016 by IIT and IIFT graduates Rahul Patel, Nipun Sareen, Hemant Verma and Mohit Sachan, EezyNaukari is a tech-enabled startup that aims to revolutionise India’s recruitment process for the unorganised blue and entry level white collar jobs. The platform strives for digital inclusion of the country’s job ready rural population by providing reliable digital profiles of job seekers, where verified personal data are integrated with skill assessment results. The process starts with EezyNaukari scouting for skilled, unskilled and semi-skilled manpower resources in rural and urban areas across the country. Apart from creating Eezy profiles for blue-collar job seekers, the startup caters to NGOs and institutes that are looking for a technology-enabled solution to their problems. Through Naukari Mitra, the company also helps the country’s youth to become entrepreneurs with its easy-to-use Android application. Currently, the platform caters to around 20,000 job seekers, of which 1,300 users have already benefited from EezyNaukari’s solutions. It also boasts over 120 partnerships with NGOs and institutions. Last year, in May, the company secured $39,185 (INR 25 Lakh) Seed funding from IIT Kanpur. As its name suggests, Salonsnearby is a hyperlocal services startup that serves as a search engine for finding salon-related services in the neighbourhood. With GPS activated interface technology, users can easily find nearby beauty and wellness centres within their budget. Through the application, customers can discover over 300 salons, spas, clinical and fitness centres, nail studios and tattoo studios. Additionally, they can avail more than 20 offers via Salonsnearby’s website and application on Android and iOS devices. The app also allows users to book an appointment, get directions and rate or review their favourite beauty and wellness centres. Salonsnearby is active in Kanpur, Lucknow and Goa and is also in the process of setting up operations in Chennai. Incubated at SIDBI Innovation and Incubation Centre (SIIC) of IIT Kanpur, Kritsnam Technologies is a startup in the field of IoT, with focus on water resource management solutions. The Kanpur-based company has been recognised by DIPP as an official startup as part of the Make In India initiative. Its primary aim is to develop wireless connectivity solutions from the ground up for developing nations. Kritsnam calibrates low-cost sensor modules while ensuring reliability after rigorous laboratory and field tests. It also helps standardise off-the-shelf environmental monitoring sensors to ascertain their accuracy, precision and reading-to-reading stability. To provide the last-mile connectivity services to farms, the company has built its own stack of Low-Power Wide Area Network Technology (LPWAN), which boasts a range of 10+ Km and a shelf life of more than two years on AA batteries. Furthermore, it offers cloud analytics, wherein real-time environmental data are integrated with decision support systems for accurate and timely alerts. Dr Shivam Tripathi, Assistant Professor of Chemical Engineering at IIT Kanpur and Sudhir Gupta, Member of Strategic Advisory Board of Millennium Alliance currently serve as the startup’s mentors. Co-founded by Youmit Singh in 2016, Mumbai-based Carrymates (registered as Nokdin Systems) is a cloud-based SaaS platform that aims to maximise idle capacity utilisation in the travel and logistics space through community collaboration. The company’s core technology allows senders or businesses to post item details, source and destination info, date and time on an integrated application. The delivery agent, in turn, updates his travelling plan on the app, along with other details like date, time and travelling mode. After the traveller receives the item from the send, he then goes on to deliver it to the receiver. As claimed by Youmit, the company’s beta product is already out. At present, Carrymates is looking to raise funding for further enhancements and expansion. Inc42 and Amazon India have already successfully concluded eight-city event series BIGShift in 2017. The BIGShift train started from Chandigarh and then moved on to Kolkata, Indore, Nagpur, Ahmedabad, Bhubaneswar, Vizag and finally concluded at Kanpur. Through BIGShift, the two looked at supporting the startup ecosystem that is building up in cities beyond Delhi, Mumbai and Bengaluru. The aim of the initiative is to help bridge the gap that currently exists between the ecosystems in tier I and tier II cities by making the essential resources available to fledgeling startups in these geographies. Amazon India, for its part, has been doing quite a bit to facilitate the growth of the startup ecosystem in non-metro cities. In remote areas where a dearth of proper infrastructure is a crippling problem for startups, firms like AWS (which works on the cloud) are working to assist promising new companies by enhancing access to pay-as-you-go IT and cloud services. We would like to thank IIT Kanpur for letting us host the event at its Kalyanpur campus. Additionally, we wish to thank our ecosystem partners – Entrepreneurship Cell, IIT Kanpur; TiE UP, Lucknow Angel Network and IIT Kanpur’s SIDBI Innovation and Incubation Centre (SIIC), who helped us put together this wonderful event. To learn more about BIGShift and what it entails, click here.